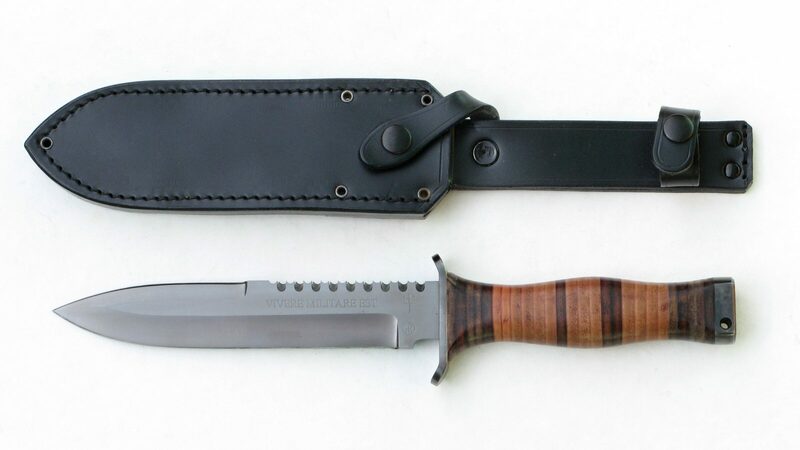 The knife was in its author in 1998, designed as a counterpart to the previously proposed knives Falco. 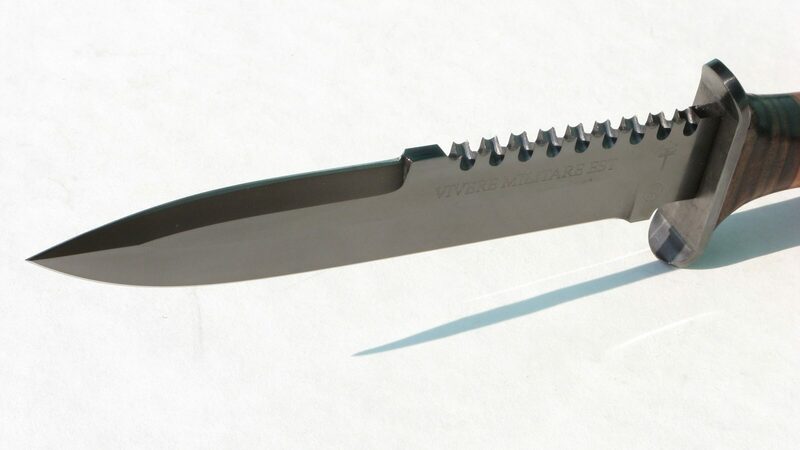 While Falco knife was designed primarily for close combat, knife, Geronimo had to perform more functions multipurpose knife. Especially for these properties can be drawn up and present a number of soldiers and policemen. 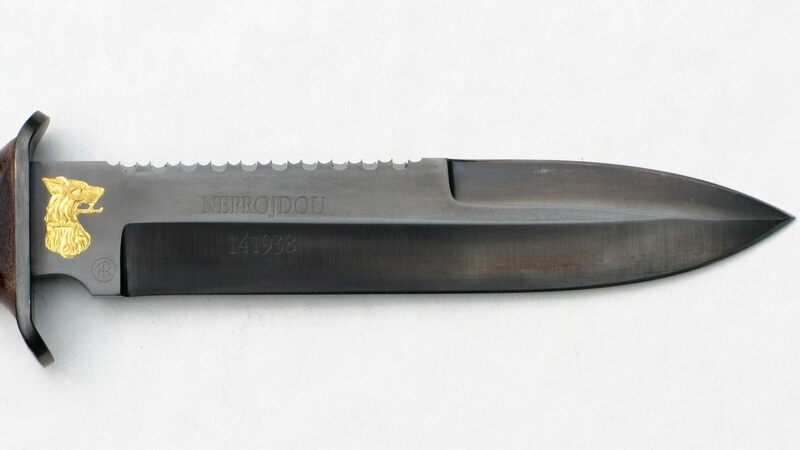 His baptism largest knife in the expedition of students experienced VA Brno in 1999 in the mountains of Chibi in Murmansk. 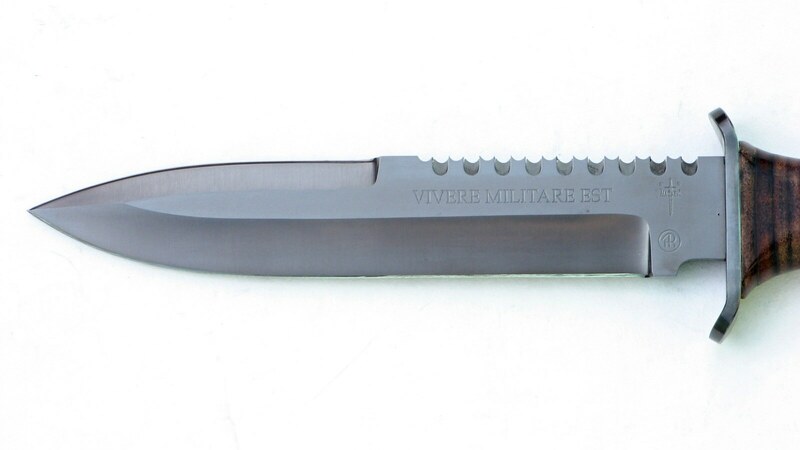 The knife is commercially available for the civilian sector and has in its marketing as a knife was awarded the 1998 exhibition in Pribram. 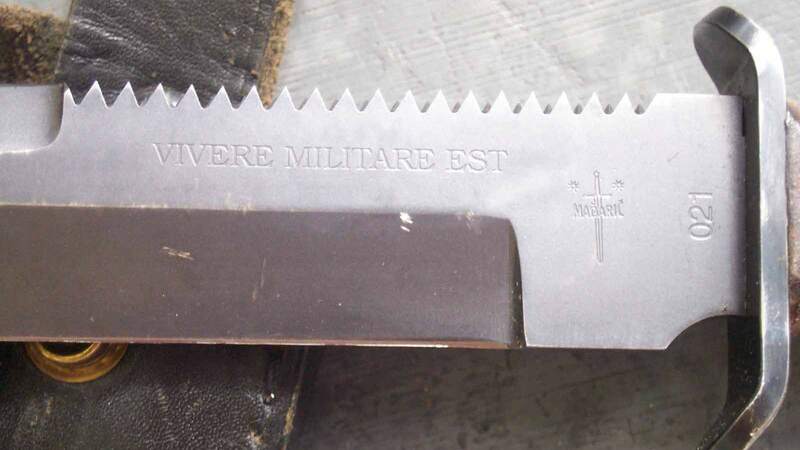 Geronimo is on the left side of the blade Latin inscription “Vivere Militare Est” which means “To live is to Fight.” The knife is made by Mr. Lubomir MAĎARIČ from Brno. 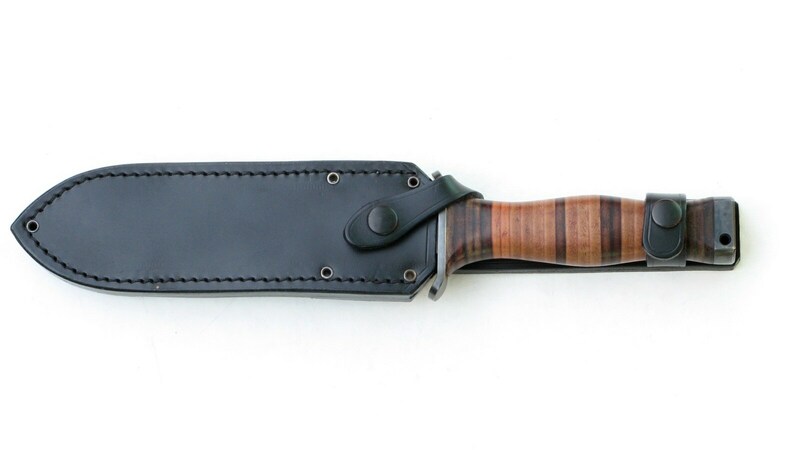 Leather sheath producing company HESS from Brno. 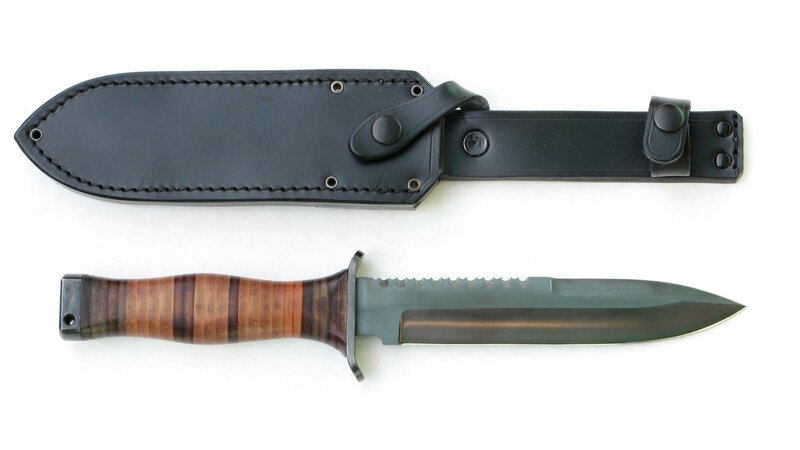 The first two pictures you can see an older model of Geronimo. 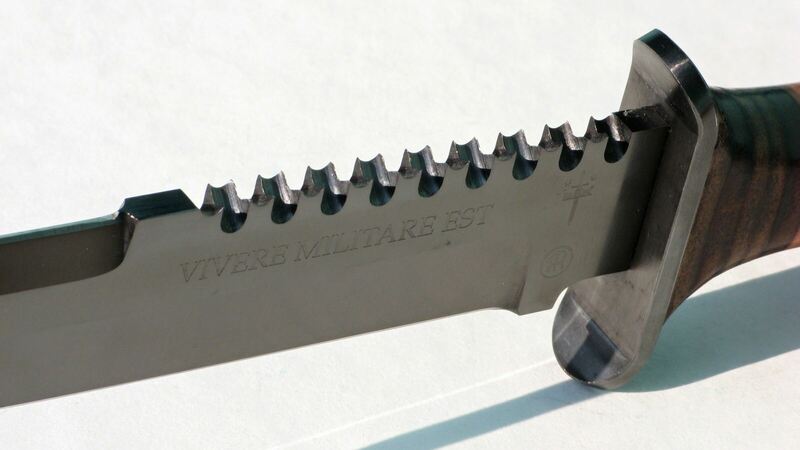 On other pictures you can see a newer model, which differs a new saw. 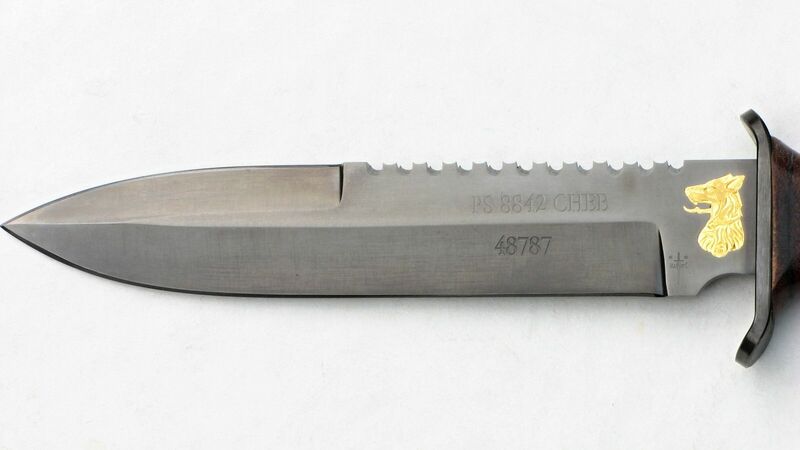 This saw is cutting less clogged and thus easier to read. 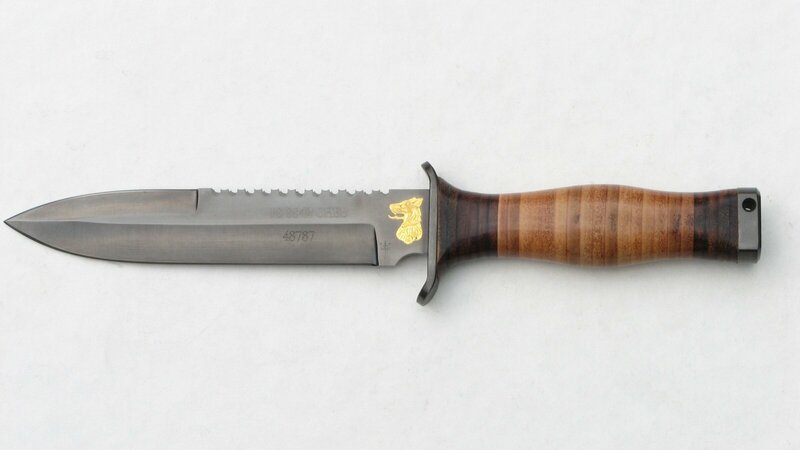 Here is a knife Geronimo optional one soldier guards the border. 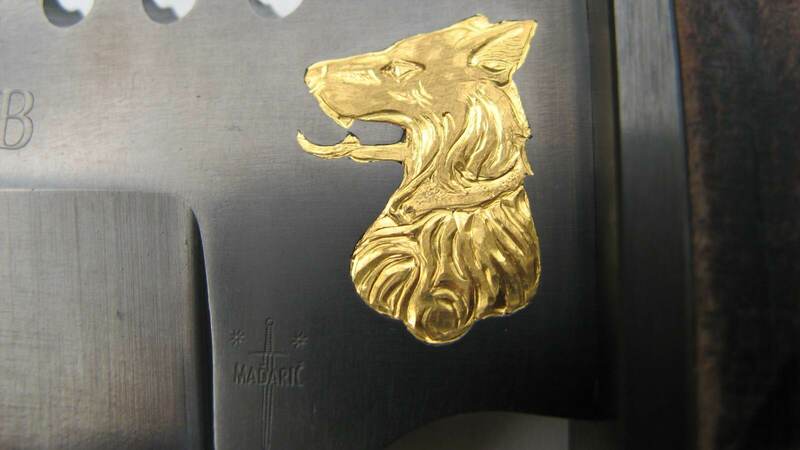 The logo is a dog of 24 karat gold.